I hope 2018 is treating you well so far and that you didn't gain too many extra pounds over the holidays (or kilos, if you happen to live in the civilised world). 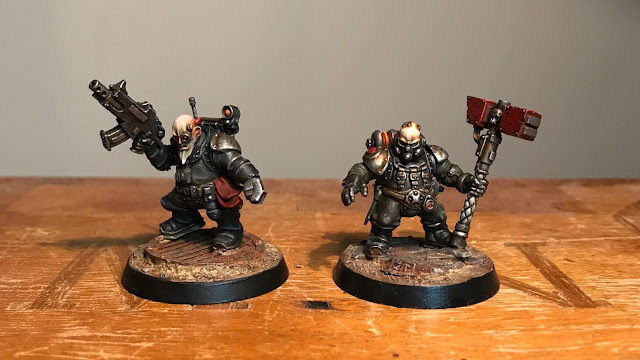 I'm hoping to do a bit more hobbying this year - especially since I've been granted the great honour of being part of GW´s newfangled ”early reviewer” scheme. Basically they´ll send selected models every now and then to me and a bunch of other hobbyists, just to see what we can make of them. 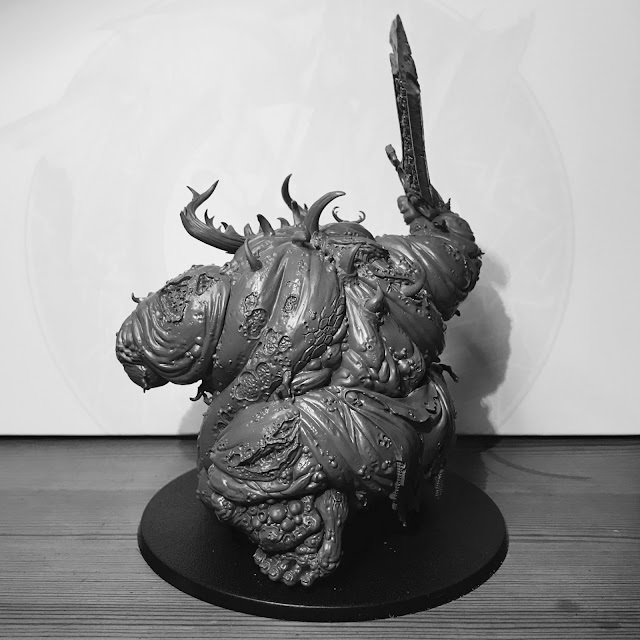 A few weeks back the the first model reared it's ugly head - the new Great Unclean One - and I set to work, gluing the "mini" together. It is insanely huge - almost too big if you ask me. But that, of course, is a matter of preference. I'll be building it more or less straight out of the box (not really being used to big models such as this). There’s some minor alterations however - added more prongs to the horns to make them more tree-like, spines on the back and re-sculpted the corners of the mouth to get rid of those cartoony tusks. A great model all in all - I really dig the "standard" jolly variant and the the cowled wizard. The cyclops version... not so much. But there you go. The rest of the new nurglies are a bit of a mixed bag (I'm looking at you Beasts of Nurgle) but at least the big guy himself got a praiseworthy treatment. 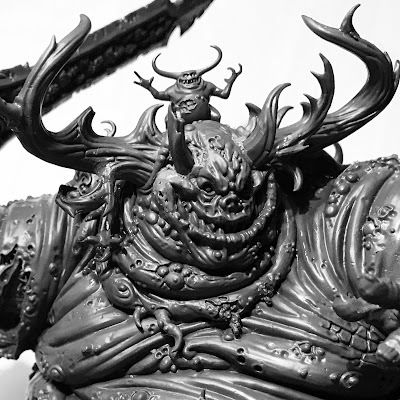 I've been toying with the idea of adding a nurgling on his neck (just love it´s air of delusions of grandeur), but I'm worried that it might distract from the head too much. Well see. We'll get back to this once I start painting the thing. But there's more - I've actually completed a model as well! 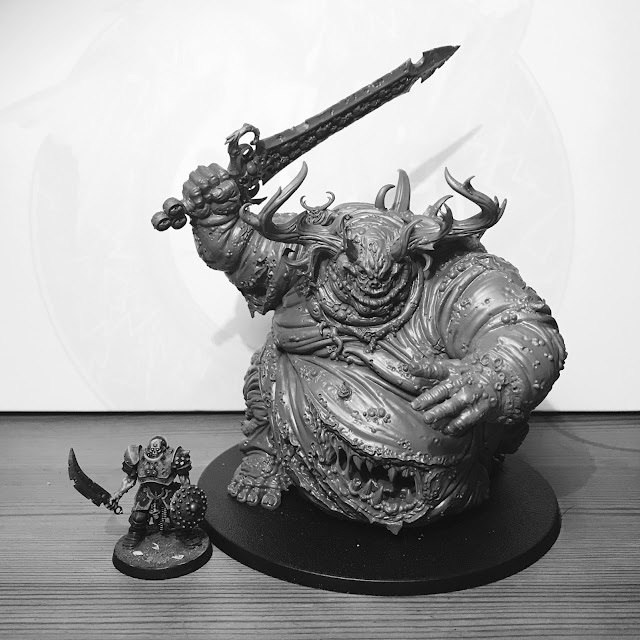 Looking forward to what you do with the Great Unclean one (and good job to GW for selecting you for their early releases, can only help drive sales). The Squat is great though. Gives a good "imperial alien" feel, which is certainly one way to capture that old squat vibe. I doubt my tinkering will drive sales, but I'm certainly not complaining! Fantastic work on the squat, Johan! That is one project I am really looking forward to, as I've been thinking about doing something similar for a while. 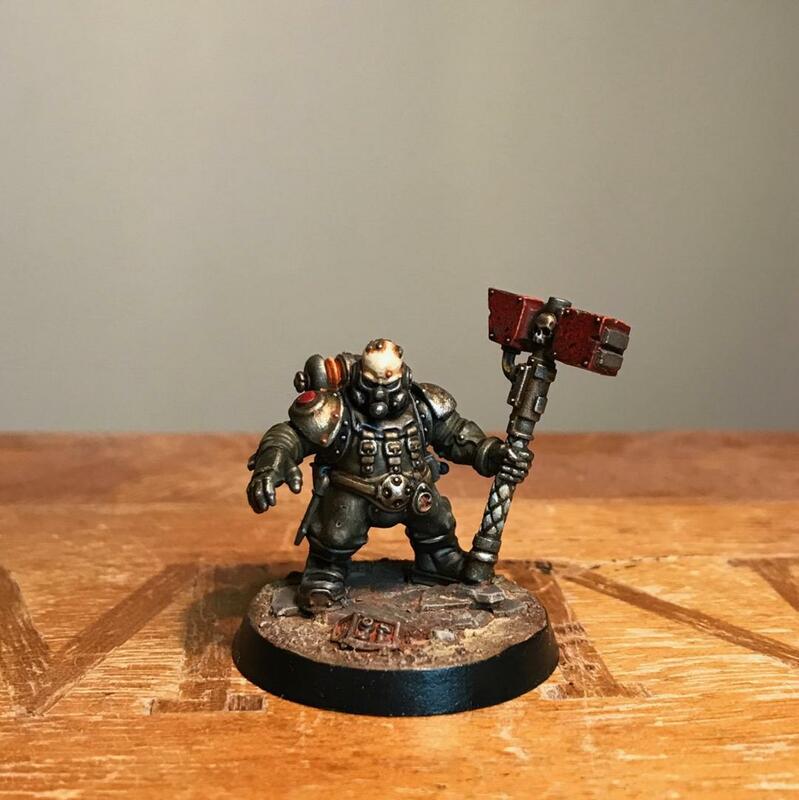 The paintjob does such an amazing job of bringing the model more firmly into the 40k 'verse. What's that head, by the way? Some kind of Primaris rebreather head? Seeing how you've worked with the GUO, would the kit allow for combining the cowled head, sword arm and "regular" left arm (the one with the chains, not the one with the crazy mutated face) without major conversion work? Looking forward to more hobby goodness in 2018, mate! Thanks Krauty! You flatterer you! The GUO kit is customisable sp you can combine the different arms and head in any configuration - no conversion necessary. The blimp dwarfs really are perfect for squat conversions - all their gear is incredibly high tech so it fits right in with the 40k stuff. It's a regular reiver head with some modifications. I really like the Squats - they’re not cartoonish in any way, but grim and deadly-looking. I look forward to seeing what you do with Great Unclean One. Yeah - I try to make them look tough as nails and down to business. No big beards and no bling, runes etc. Haven't you heard? They are back! Was wondering just how simple it would be to mess with the Kharadron kit to make them more 40K and thereby be more appropriate for Squats. Flippin excellent job though.